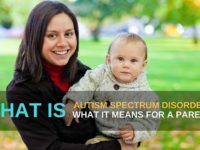 During the early years several children with Autism do not meet certain age appropriate milestones, therefore parents, caregivers and schools need to pay special attention to their overall development. 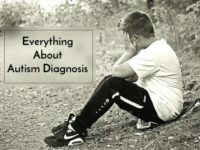 We believe that every individual is born with special abilities and if those special abilities are promoted a child can pick up other aspects as well. Therefore special children should be given equal opportunity to prove they are differently abled without realisation of the barriers. Taking these points into consideration many private and government organisations have come up with a strategic plan to arrest these issues. There are inclusive schools and organisation, that are dedicated towards betterment and upliftment of special children. Inclusive education incorporates the fundamental change to support and address the individual needs of every child. Since every problem isn’t the same, every solution cannot be the same either. So the Education plan varies in accordance with each individual’s limitation and strength after careful assessment. It includes identification, training and rehabilitation programs. 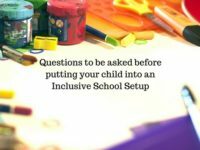 A couple of schools also employ teachers, who themselves are a parent of differently abled children, so the care and being considerate comes automatically. As a parent it’s our utmost responsibility to provide our child with optimum quality of life and maximise their integration in the mainstream world. Bal Bharati Public School, Noida started its own Centre for Scholastic Integration(CFSI) in the year 2008. They are also the winner of “The Life Empowerment Award for Schools 2012-13”, organised by ‘Expressions India’. They have 4 special educators. Who monitor and supervise special kids all the time. They also take some classes on their own. 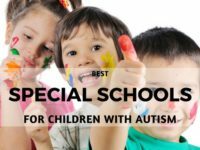 No separate resource classes for special children. From the start itself, everyone will be in same class. Admission process starts in the month of February. The CFSI is programmed to work closely with students having Special Education Needs (e.g. Dyslexia, Attention Deficit Hyperactive Disorder, Slow Learners). AT CFSI, Individualised Education Program (IEP) is developed by Special Educators for these students on the basis of Informal Assessment. If required, the students are referred to a Psychologist for Clinical Assessment. Currently, they have 24 students in all with special needs: 2 with Autism, 3 with ADHD, 15 with LD, 2 with visual impairment, 1 with borderline intelligence, 1 with speech and language impairment. Special care is taken for children with haemophilia, cerebral palsy and epilepsy. 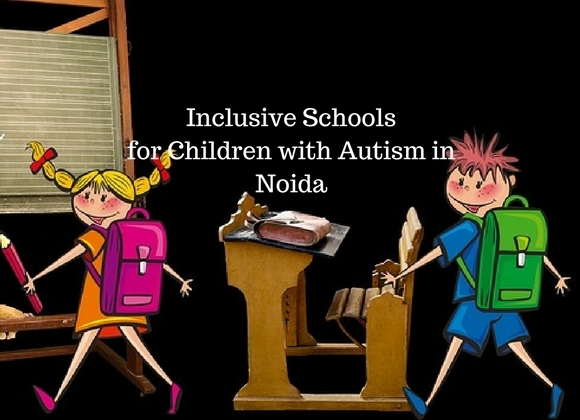 Noida’s Step by Step school, which was set up in 2008, has a department for catering to children with special needs. 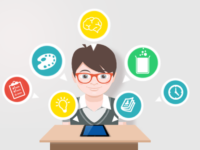 It encourages the use of technology in the classroom and has built up quite a reputation with both academics and extra-curricular activities. They have a student-teacher ratio of 24:1 with approx. 1200 students in total. It is a bit expensive, though. They claim to be inclusive and have special educators to take care of needs of differently-abled children. As per the management, they do not facilitate resource classes during regular classes. Students will be clustered into a single class from start. But some parents have their own complaints related to fees, method of education etc. what is the fees in Sheron International school G.Noida for special children. Anybody knowing please help. Hey, thanks for sharing. Pathways School and Step By Step School is also on the list of Top 10 schools in Noida. 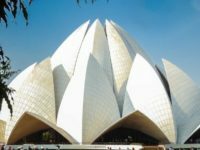 You might be interested check out the list of top schools in Noida at SchoolWiser.